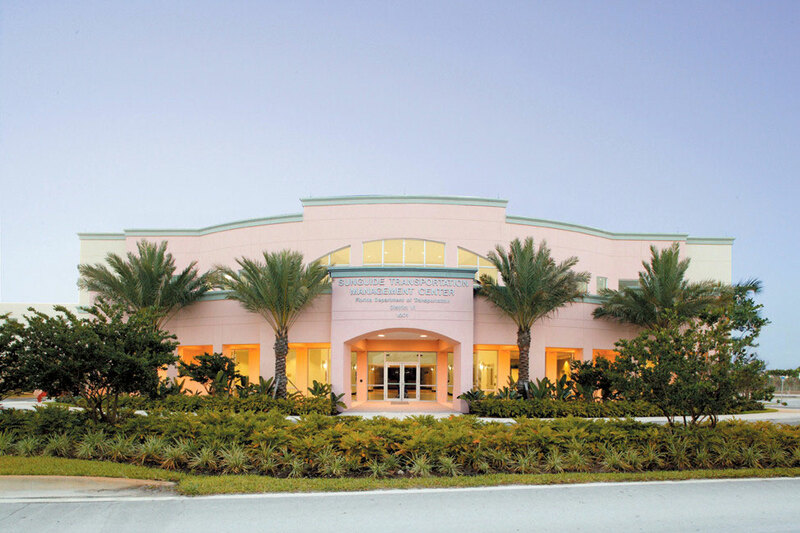 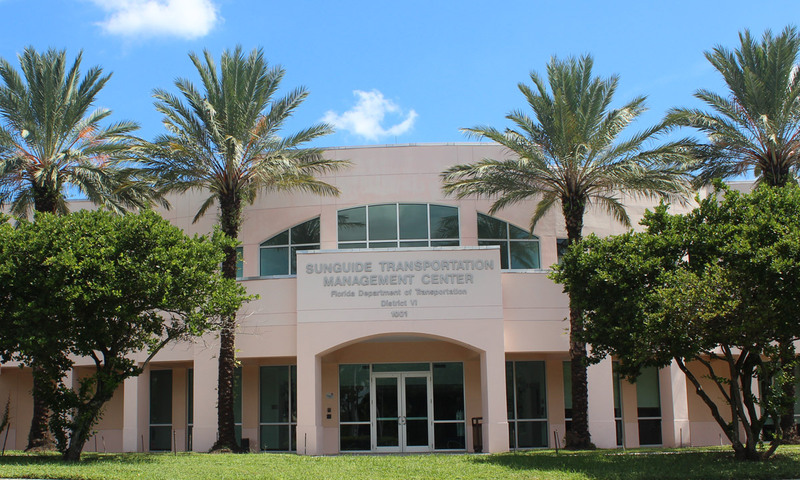 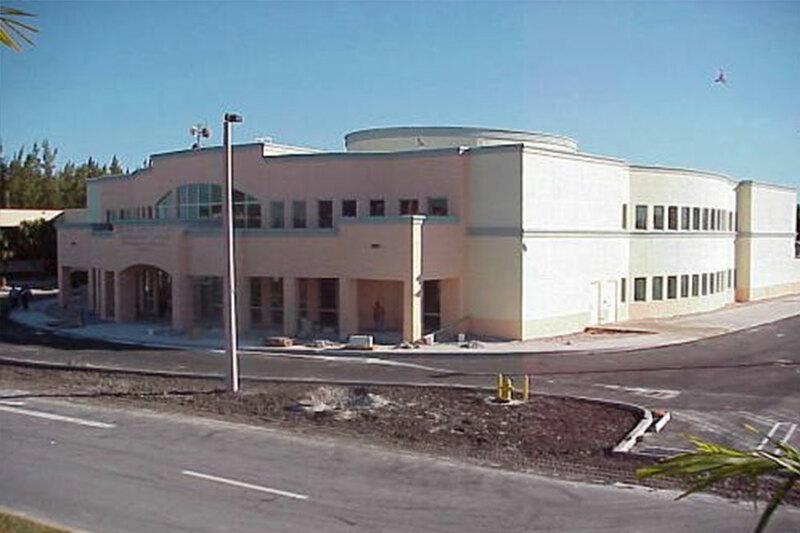 THE SUNGUIDE TMC IS A 32,000 SQUARE FOOT, STATE-OF-THE-ART FACILITY THAT OPENED IN 2005 TO MANAGE REGIONAL TRAFFIC IN SOUTHEAST FLORIDA. 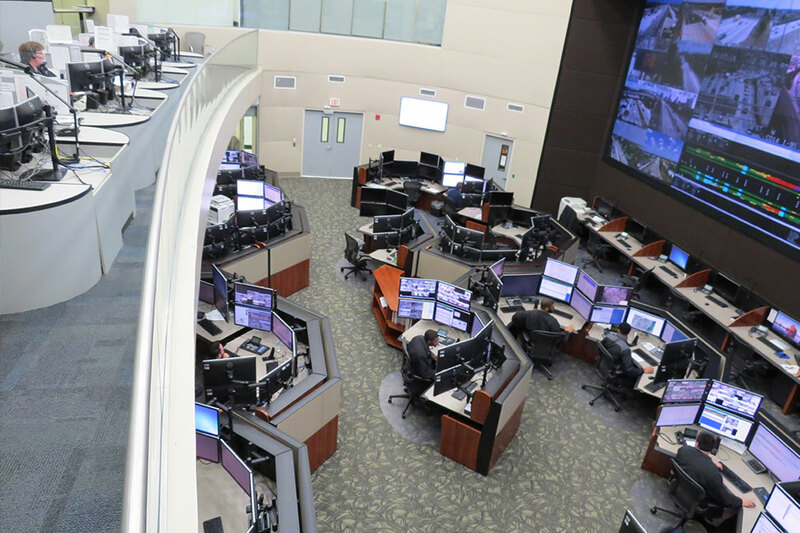 The center houses the TSM&O program staff and operates 24 hours per day, 7 days per week. 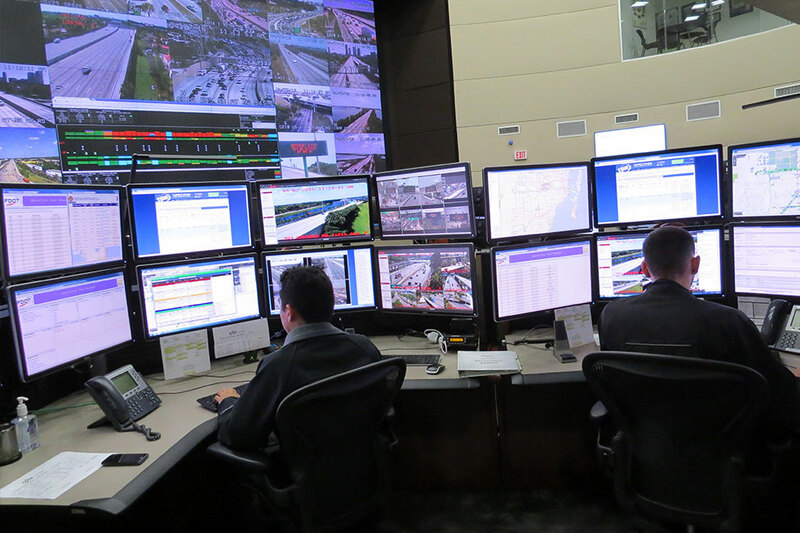 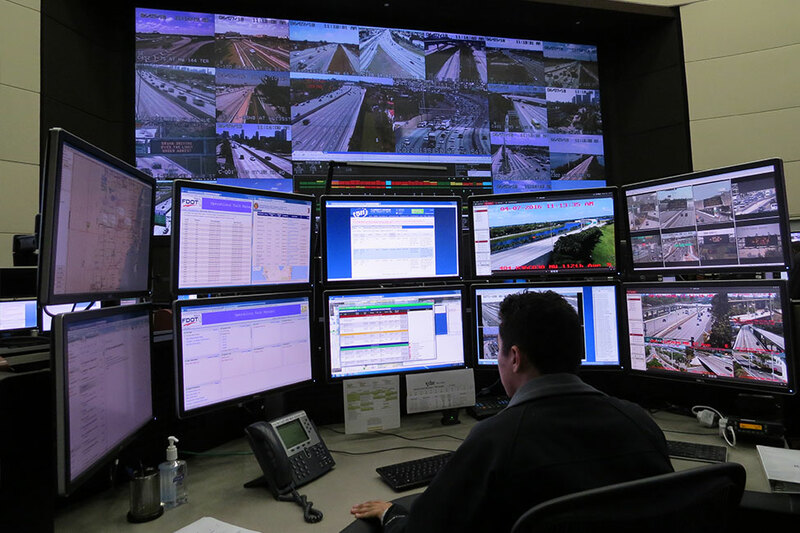 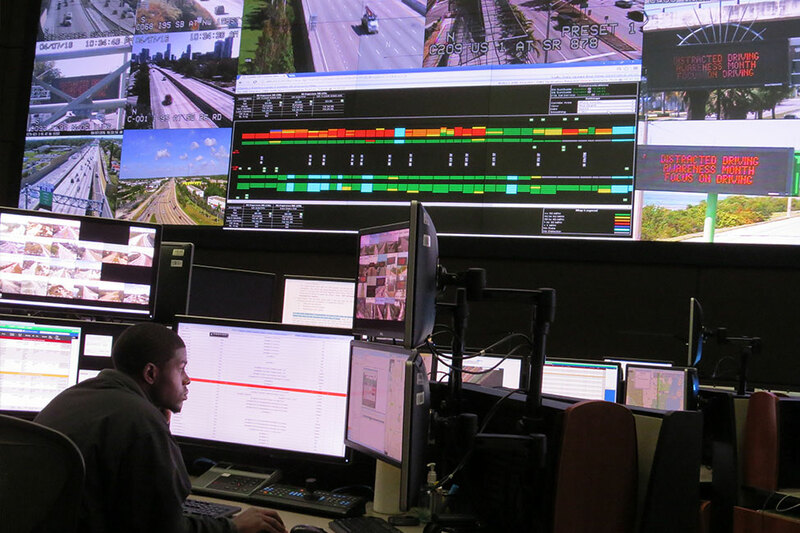 Traffic operators monitor the roadways and optimize traffic conditions in real-time. 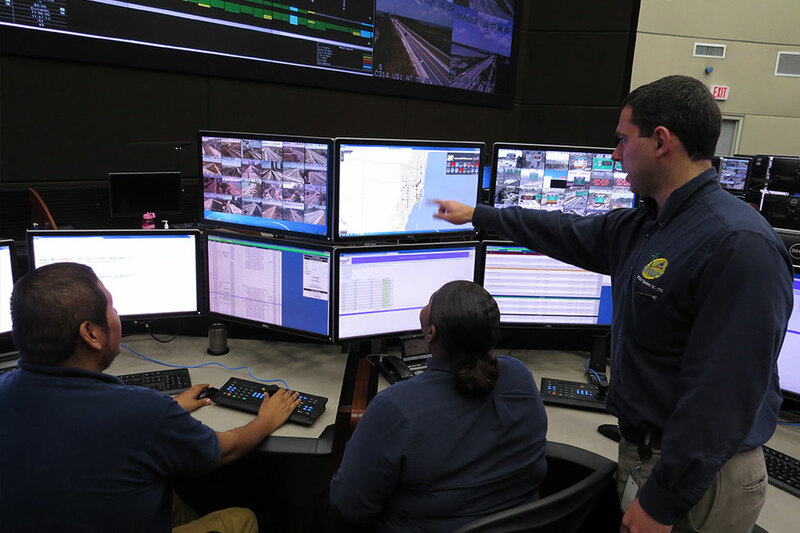 They work with partner agencies to provide incident management, traveler information, and arterial management services to the area. 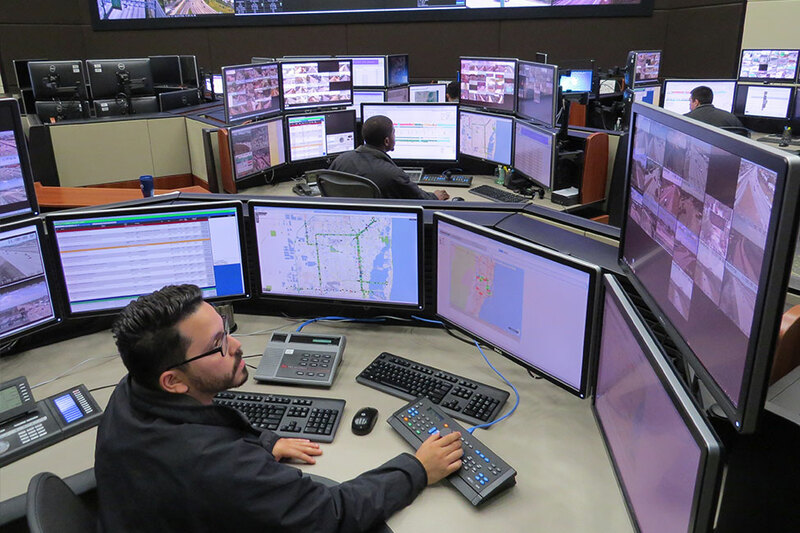 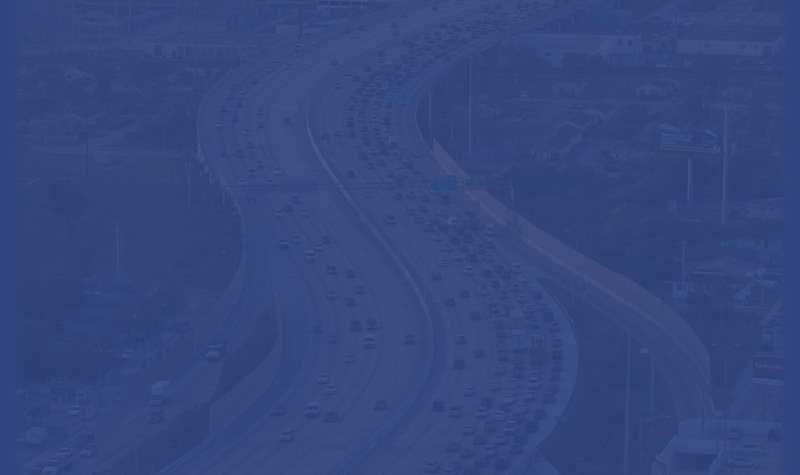 This coordination is enhanced by the co-location of Miami-Dade Expressway Authority (MDX) operations staff and Florida Highway Patrol Troop ‘E’ dispatch who also work within the TMC to manage their respective operations. 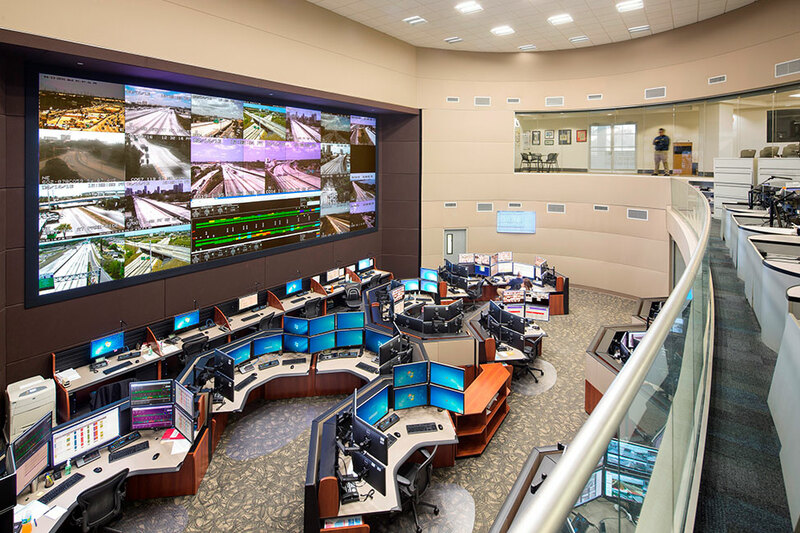 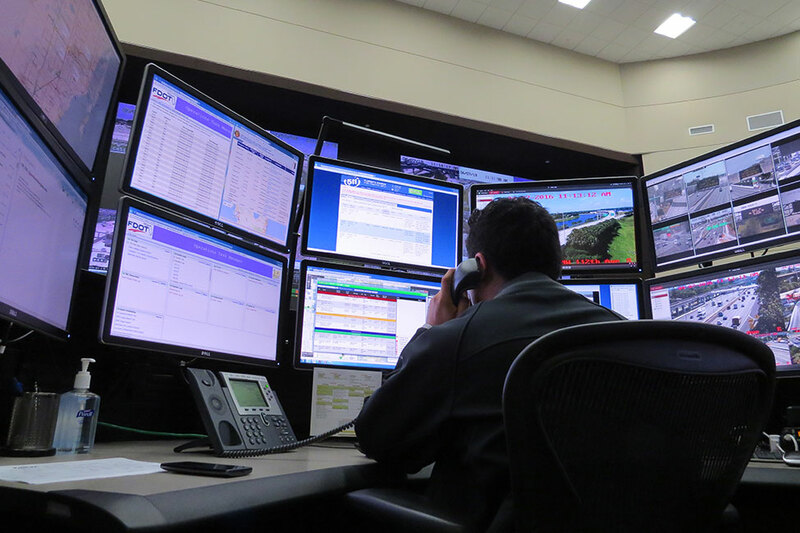 The TMC’s control room houses one large video wall and 18 operation workstations grouped together by roadway.